You are able to import your dreamed car from Japanese car auction with our assistance. This means you are able to compete against local Japanese used car dealers and Japanese car exporters, and you are able to be the owner of Japanese used car at the lowest cost possible. You know that your local car dealers are importing used car through export auction agent in Japan, like us and paying export service fees somewhere 100,000yen-120,000yen for us. This is why our used car auction service comes in for your cost savings. So you can import Japanese used car from Japanese car auction directly at wholesale price with our help. 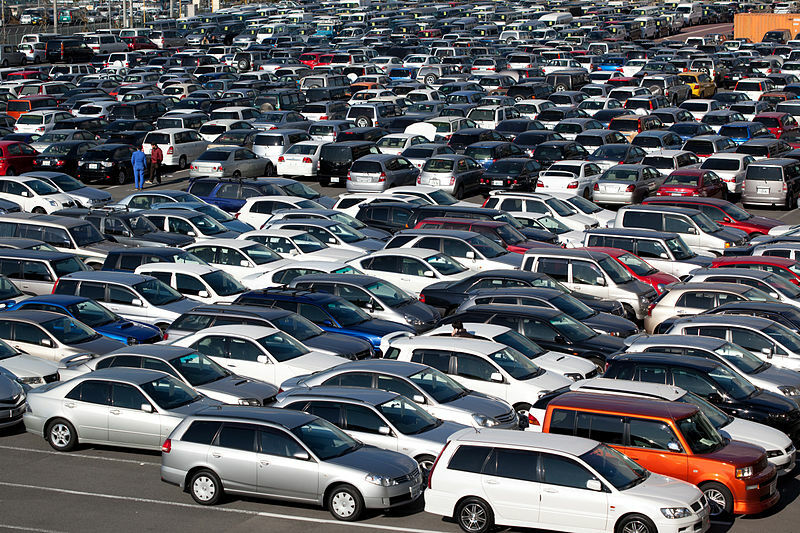 Why import Japanese cars from car auction in Japan? Well trained auction house inspectors are seriously checking a used Japanese car one by one. On top of this, We check a used car in detail by ourself before auction start. Especially, we check in detail if there was an accident history or not. Also, auction houses keep record each used car's mileage into one database system so that they can monitor each car's mileage and do better guess every time if a used car has a true mileage or not. So if a used car has suspicious about its mileage, inspectors write as question Km into inspection sheet. This is why we are able to buy a good described car from auto auction with less risk (may be less risk than local car dealers) and without doubt. When you go to local used car dealer, check a used car yourself, what you can do is to check exterior and interior of a used car at most. You have a no clue if a car has true mileage or not, accident car or not and an engine is OK or not. You will receive an original car inspection sheet which is issued by Japanese car auction house. The car inspection sheet is like a certificate of diamond when you buy diamond in jewelry shop. It really describes well used car condition (like a, where dent, scratch is. Km, and so on), even you are able to use it when you would like to sell your used car. You are able to buy Japanese used car at lowest price from Japanese car auction. It is natural that you can buy Japanese used car cheap, because you can buy Japanese used car at a very first stage of channels. Normally, your local car dealer has a lot of overheads cost to maintain used car yard, people and stock and such cost is naturally put on a used car sale price. With our auction service, we can erase this unnecessary cost which you can use it somewhere else. Japanese car auction houses have variety of stock, very strong chance you can find your dream Japanese used car. May be your local used car dealer carry stock somewhere 60 cars or may be 100 at most. On the other hand, Japanese used car auction house, about 1800 used cars to more than 10,000 used Japanese cars are sold at auction in one day. So it is very easy to find your used Japanese car.